Artists in Ridgefield have tended to focus on their art and avoid the political limelight. Not so with Simon Greco, who spoke at many meetings, penned many letters to the editors and challenged laws, budgets, schools and other matters. 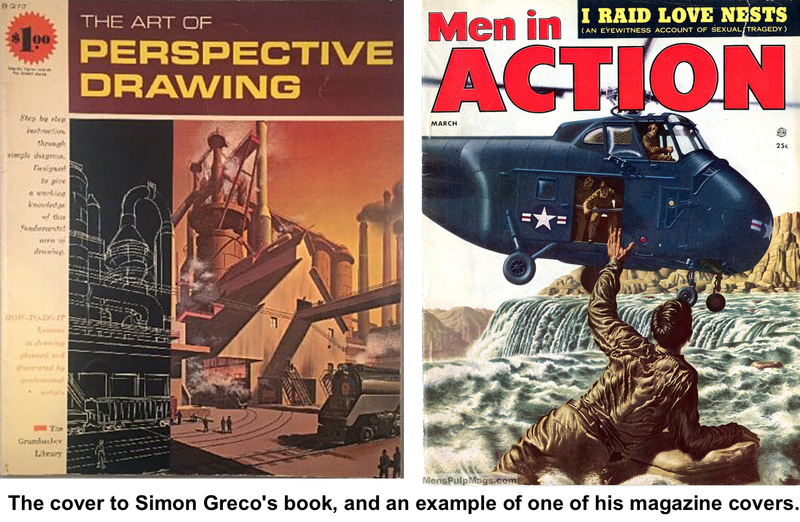 However, though even The New York Times covered his feisty ways, Greco was much better known nationally for his art, not his complaints. worked for a gas company. 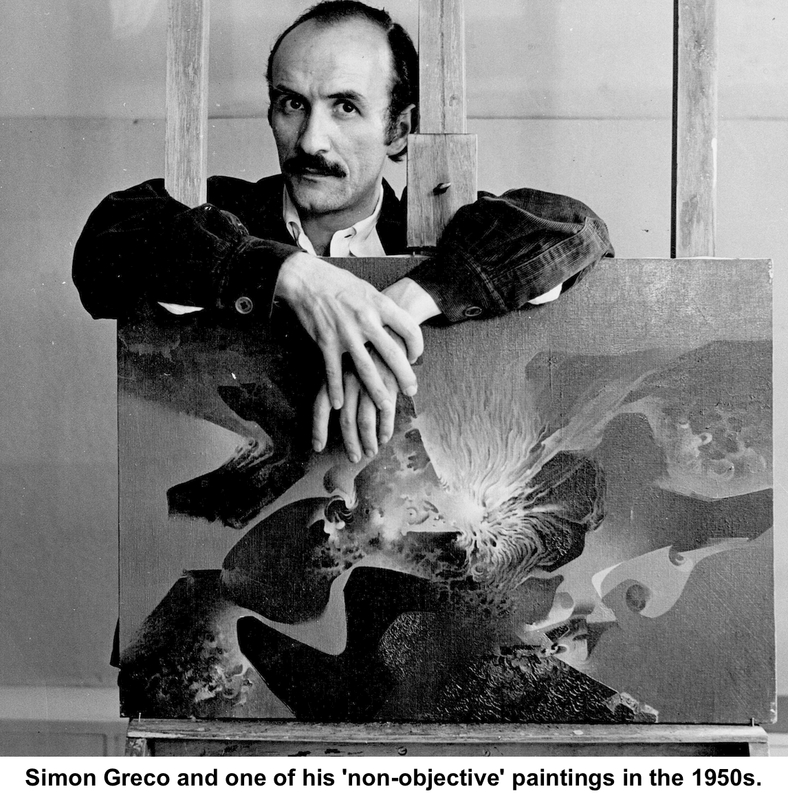 Greco said that St. Louis abounded in cultural opportunities and that his early art education was acquired at the St. Louis public library. His formal education consisted of two years of high school and two years of vocational training. “Almost entirely self-educated, Greco is widely informed in such diverse arenas as philosophy, religious history, literature, and music,” said a 1952 profile of him in the Bridgeport Sunday Post. 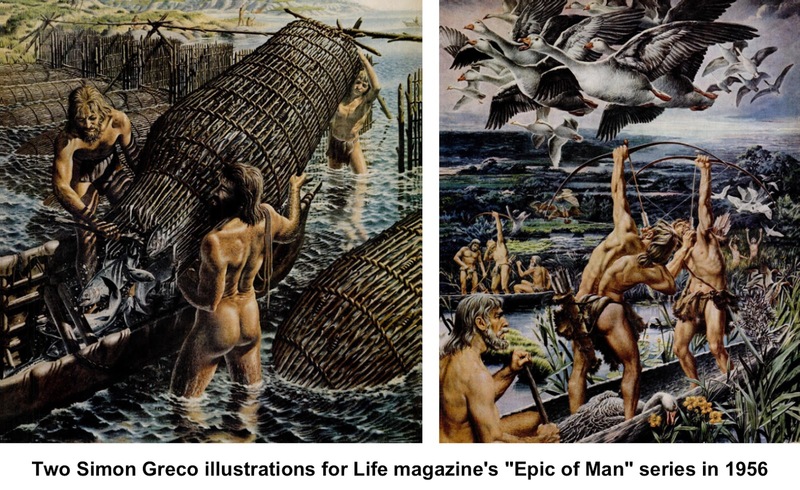 By the 1940s, Greco had moved to New York to do commercial art as well as his own work. He was best known for his “magic realism” paintings, a style that was popular in the mid-20th Century, and was considered an expert at it. He became well known for two series he illustrated for Life magazine, The World We Live In in 1953 and The Epic of Man in 1956. He also painted many covers for magazines during the 1950s and 60s. could be adequately handled by non-objective art,” he told The Post. He began painting non-objective works — what some consider abstract expressionism — while continuing to produced the “magic realism” pieces. And it was the latter that were more popular. His works are in the Smithsonian Institution, the American Museum of Natural History, the U.S. Naval Academy, and other collections. In Ridgefield, he became involved in the community, and was a frequent voice at town meetings and in letters to the newspaper. A Democrat, he tried in 1963 to vote in a Republican primary here in an attempt to challenge what he considered a flaw in a state law. He was unsuccessful, but his effort was covered by The Times. Perhaps Greco felt a closeness to teachers and books. 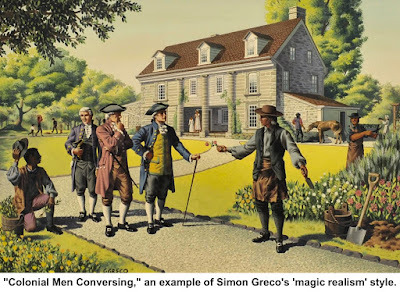 He himself taught at at various institutions in Fairfield County and, in 1968, he wrote the book, “The Art of Perspective Drawing,” for the well-known Grumbacher series. In 1964, Greco moved to North Salem Road and a few years later, relocated to Fairfield after joining the staff of the University of Bridgeport. He later lived in Westborough, Mass., where he died in 2005 at the age of 87. Thank you for this. I'm an admirer of Greco's beautiful geological paintings in The World We Live In and The Wonders of Life on Earth which fascinated me as a child. While his historical painting look somewhat unreal, his style had a different effect when applied to cross-sections of landscapes, making the Earth look like a living thing.